It’s almost spring season in Pakistan. Everywhere flowers will blossom, trees will be lush green again, migrated birds will come back soon in a few days and the great lost essence of spring season can be felt by the mildly moist breezes flowing smoothly. These amazing breezes are felt better with all the peace we are having again in our country which was long lost against the tough time we have had in last 15 years. The biggest nightmare of our time, was the filth of terrorism that I along with the whole Pakistani nation faced. 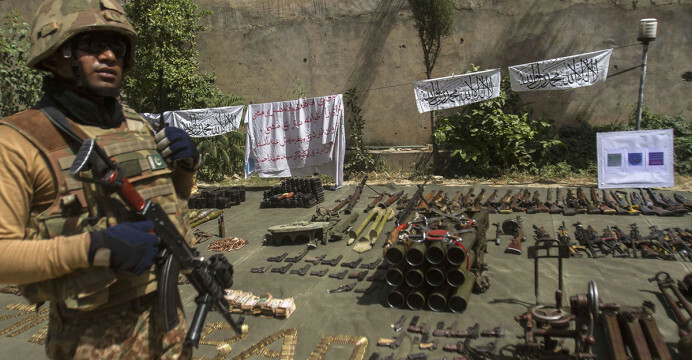 For a developing country like Pakistan, it was a serious blow to the face. I remember those harsh days when every day there were several causalities due to terrorist attacks. 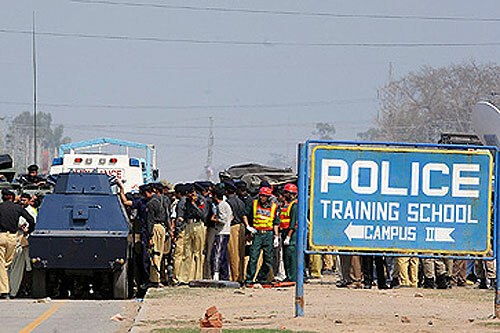 In March 2009 the disastrous incident took place in the city of Lahore, when a bus carrying Sri Lankan cricket team for the cricket match came under attack and many including six official cricket team players got injured and many security officer got killed, resulting in a ban by ICC (International Cricket Counsel) to conduct international cricket tournaments in Pakistan. I also remember the incident that took place at Manawan Police Academy Lahore, where 750 unarmed newly police recruits were busy doing security drill and faced a big attack. Some terrorists attacked the main gate of the premises, some were dressed as policemen, some of them used the front gate attack as a diversion and crossed the premises walls. Many of the new recruits, trainers officers lost their lives. Same is what was happening all across the country including big cities like Karachi, Hyderabad, Islamabad, Baluchistan, Peshawar. While Taliban were getting stronger in the province of KPK (Khyber Pakhtun khwa), the worst conditions were of the people of Swat valley. The TTP (Tehrik-i-Taliban Pakistan) affiliated groups were conducting regular barbaric assaults on the people living in SWAT Valley. They imposed their own law in the district including the ban on women education, a death sentence to the barbers and the music shop owners etc. It made over 1.6 million people to migrate to the refugee camps settled by the government of Pakistan. Then government ordered to launch an offensive operation against the oppressor with the name of Operation Rah-e-Haq and Operation Rah-e-Rast. It was then a ray of hope was witnessed in the form of a young brave girl named Malala. A girl born on 12th July 1997 stood up against the evil and inhuman forces of terrorism. Knowing of the serious consequences that she could face, she made her voice reach out the whole world. Making every single person in Pakistan realize that no one can stop any girl or boy from going to the school. She made the statement loud and clear that all of the threat she was facing as a child was only ridiculing the terrorists themselves. This caught fire in the whole country and every single person raised their voice against this forceful might. But unfortunately, a cowardly attempt was made to silence this powerful voice, on 9th Oct 2012, Malala along with two other girls were shot by the terrorists in an assassination attempt to silence her voice. They considered it an act of bravery, killing an unarmed little child who was resisting their ways and was willing to go to school for education. After getting initial treatment in Rawalpindi Institute of Cardiology and Queen Elizabeth Hospital in Birmingham UK, she raised her voice again, against those who force women not to get education worldwide. She became a beacon of hope for all the women in the world who were struggling to get the education. She made the whole Pakistani nation Proud of her bravery and her struggle. 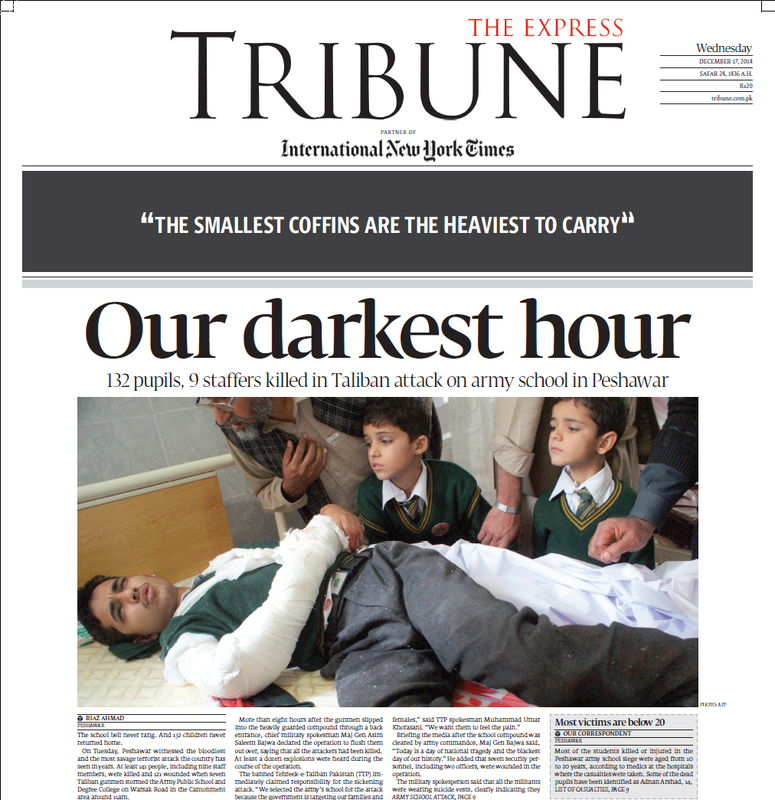 Last but not least, on 16th December 2014, the worst of the nightmare happened where the terrorists attacked the Army Public School in the city of Peshawar. In this incident, the target was innocent school going children and school staff. Alas, I wished I could have never seen that day, where the whole of the nation cried for this terrible loss. Every eye in Pakistan was wet with tears, every father, mother, brother, and sister was mourning over such loss. That day 149 people including 132 innocent school children were martyred. 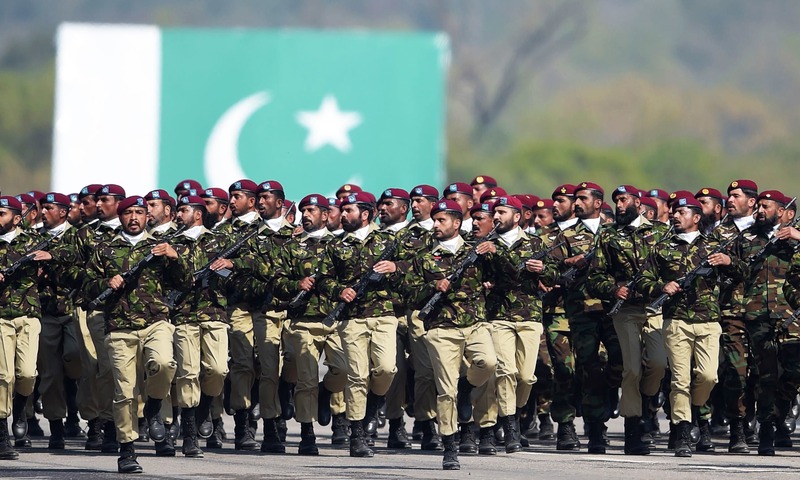 It was the decisive moments for the whole nation, where every person rose up against the evil menace of terrorism and stood with the government and the armed forces to beat their mighty wrath out of their country. 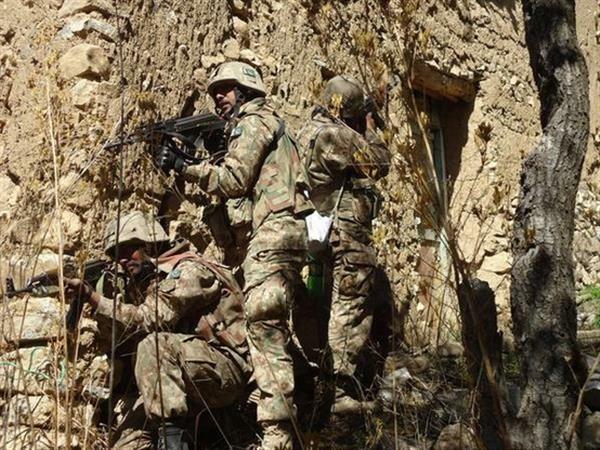 A big assault was launched against all of the terrorist groups including Tehrik-i-Taliban Pakistan (TTP), the Islamic Movement of Uzbekistan, the East Turkestan Islamic Movement, Lashkar-e-Jhangvi, al-Qaeda, Jundallah and the Haqqani network (all were foreign-funded mercenary groups working to dismantle Pakistan). I am writing these incidents to let the reader know that how Pakistan came out of this darkest pit of sufferings. How a young ambitious girl become the voice of the whole nation and sparked the fire of inspiration for the thirst of knowledge. How the killing of innocent children united 220 million people to fight back the oppressors. Till today Pakistan has lost over 60,000 lives including citizens and armed forces. Pakistanis got their streets free from these cruel filthy oppressors with the losses of over 150 billion dollars. A cleaning out work is still being carried out by security agencies and armed forces. I have had a very good life in Pakistan, but the only nightmare that haunts me was the terrible and shocking 14-15 years of terrorism that we faced as a nation. My belief is that passion can be found even in the darkness, but only if we remember to turn toward the light.